Multilayer laminated tube division of Abdos began operations in 2004 with a vision to produce cosmetic, oral care, pharmaceutical tubes and for similar applications for Indian and overseas market. It is commonly known as “LAMITUBES”, an innovation which on one hand speaks about the brand through its eye-catching shape & design and on the other hand provides convenience to the consumer. Abdos is one among the pioneers in the manufacturing of Lamitubes in Indian Sub-continent with its integrated state of art plant situated at Guwahati, Assam in India. 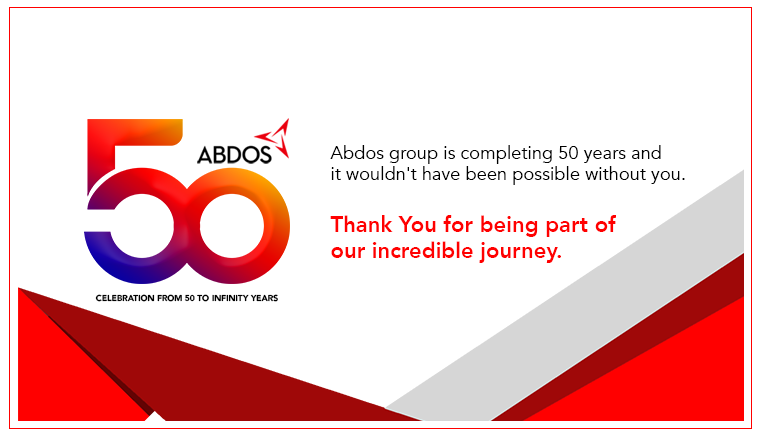 Abdos believes that Quality means “CUSTOMER’S SATISFACTION”. We at all level in our organisation are committed to achieve customer’s satisfaction by delivering defect free products every time & on time. To accomplish this we are committed for continuous reduction of wastage & rework; to develop and implement quality system in accordance with customer requirement; to impart training to our employees for continuous improvement in their performance in respective fields by ensuring total involvement. We have our own in house R&D and quality assurance team to ensure consistent quality at all times. Lamitubes are made from laminates made of 5 layer structure and can be customised in terms of thickness based on specific client requirements for packaging of toothpaste, ointments, cosmetics & ketchups. Abdos has a completely automated manufacturing environment thereby reducing human involvement to a minimum while ensuring high quality product look and feel. We are also technically integrated to preserve hygienic conditions inside the manufacturing units. We source our high-end technical equipment from the world’s leading manufacturers, including Europe and Japan. The printing facilities at Abdos offers a resolution of 150 LPI utilizing inks that are solvent free and environmental friendly. The company employs a printing method where a maximum of 6 colours can be used with an extra layer of varnish. The meticulous technology allows an accuracy of colours and detailing on the end product. Our manufacturing facility utilizes superior technology of tubing that include Aluminium Barrier Laminate (ABL) and Plastic Barrier Laminate (PBL). The use of these two technology helps improve the shelf life of the product. Injection moulding is the backward integration to Lamitubes business with a state-of-art manufacturing facility to produce caps & closures of various sizes and shapes. The plant have cutting-edge technologies of multi-cavity hot runner and semi-hot runner moulds with cavitation as high as 96 having a cycle time of 7.5 secs. The moulding machines include machines with toggle technology ranging from 220 MT-550 MT purchased from some of the world’s best manufacturers. The Unit has foil stamping department of cap decorative with a speed of 50 caps per min. We have in-house quality control & reverse engineering facility ensuring stringent quality control for skin & oral care products and to take on product developments. Quality materials are processed in a hygiene-controlled environment to deliver the manufactured products. The two kinds of multilayered products that Abdos manufactures are either made with Aluminium Barriers or EVOH (Ethylene Vinyl Alcohol Polymer) Barriers. The barriers technology provides a protective layer and secludes the product inside the Lamitube to ensure greater longevity. Secure sealing on the tube ensures no leakage. The modernized printing facilities ensure a good-looking product. Injection moulding department with cutting-edge technologies of high cavitation hot runner and semi-hot runner moulds to create high-finish caps and closure of various shapes and sizes. The excellent quality of sealing that the Lamitubes offer attracts loyal consumers. We have also founded our own manufacturing unit for capping purposes in 2013, Abdos Polymers Limited. The facility holds the ability to process Polypropylene and Polyethylene based Polymers. Abdos Lamitubes come with a host of capping features from conical, shoulder, big whoop to screw on caps. The capping services also include foil stamping. Copyright © 2019 Abdos India.